Sophie Gray is a force to be reckoned with. Back when I had an eating disorder (called orthorexia) during my modeling days, I got involved in fitness. I was obsessed with working out for hours a day, and spent the majority of my time after school at the gym in my hometown working out on the treadmill for 40-60 minutes, the elliptical for 40-60 minutes, and the bike for 40-60 minutes. It was crazy and I felt like my body was about to be the death of me every time I set foot into that gym. Then came Sophie Gray’s “Way of Gray” workout book that I found online during my desperate attempt to stop working out for hours a day but see results (I wanted a tinier waist and tinier hips, I’d come to find out the hard way you can exactly move your bones by exercise). This was way before the days of Kayla Itsine’s BBG Guide. Sophie’s guide was simple: 10 pages of full-body workouts that are now coined as HIIT workouts: high intensity interval training. When Sophie reached out to me on social media, I almost freaked out because I attribute much of her method of fitness and self-love to helping me recover from my eating disorder when I was younger. I religiously used her booklet when I had my eating disorder, and when I recovered from it. HIIT workouts are what got me interested in workouts I do now like crossfit & reformer pilates. I learned the difference between forcing yourself to exercise and loving exercise because it makes your MIND feel GOOD. 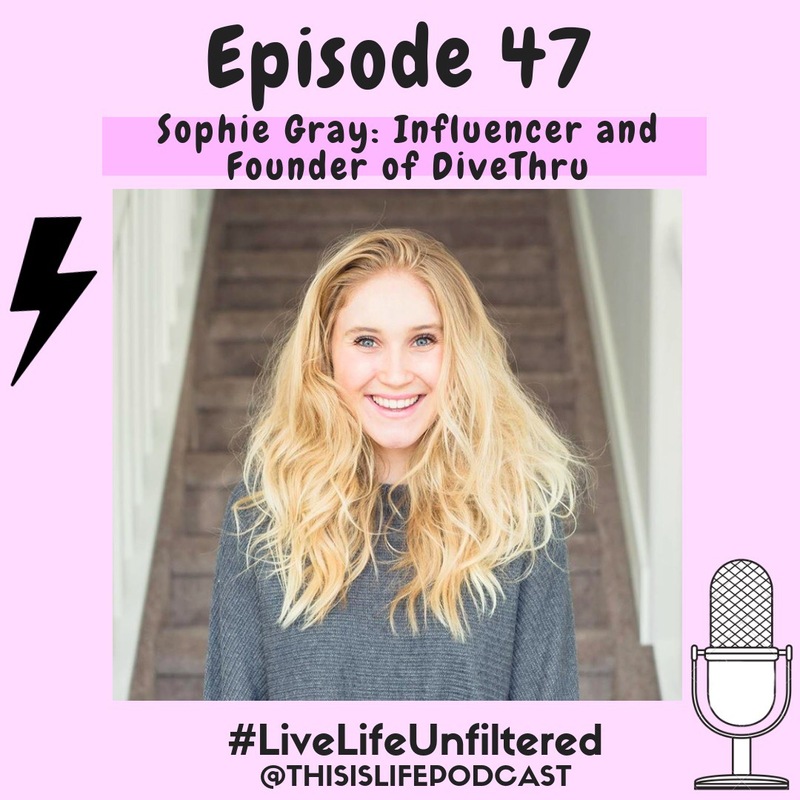 Sophie now has an app called DiveThru, that’s a mental health based app, and along with her major social media following she’s continuing to change the world with her positive outlook on body image and mental health. Listen to Episode 47 on iTunes, SoundCloud & Spotify!